Saw Palmetto Extract (80 mg) has been recommended for men for decades. Lycopene (3 mg) is a much publicized antioxidant from tomatoes. 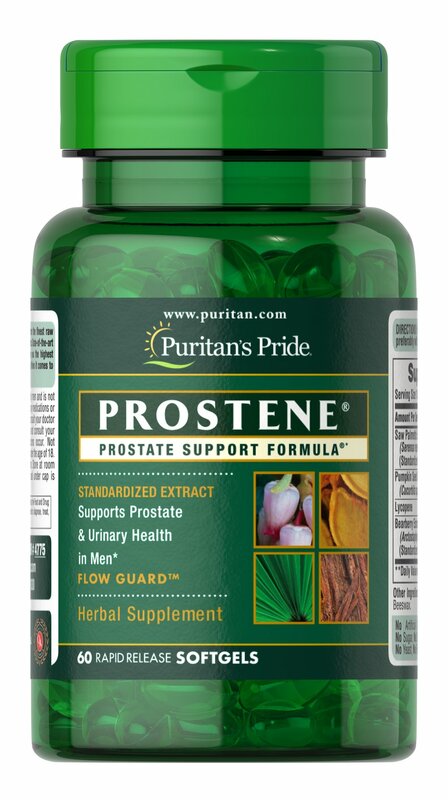 Prostene softgels also contain: Pumpkin Seed Oil (80 mg) and Uva Ursi (5 mg). Adult men can take one softgel four times daily.